The first question many hemp farmers and processors have is how to establish a fair market price for hemp biomass. This challenge exists because of the inherent nature of the industry. We need to better understand the relationship between supply and demand in order to determine a fair market price. Right now, the biggest question is whether there is enough biomass to supply hemp processors at full capacity. The answer will impact current and future pricing of hemp biomass, but this is a complicated subject due to the lack of traceability in the Hemp industry. Our industry lacks baseline data such as total biomass produced and total sales of CBD products to end consumers. In addition, the 2018 Farm Bill will have a tremendous impact on demand. The answer to supply and demand in 2018/2019 is evolving as market speculation drives the price of the first biomass sales, we look into three important questions, and analyze the factors driving the market. What is the current spot price for hemp biomass? Currently the spot price for finished, dried biomass lots intended for extraction is between $3.50 – $4.75 / % / lb depending on volume and quality. This price is being influenced by a few factors. 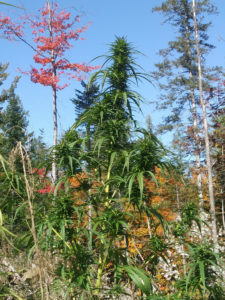 The first factor is that early flowering varieties of hemp are harvested. This eases the pressures on processors who need to procure biomass supply. However, the processors should be competing over this early material, and with prices in the $3.50 / $4.50 range, this indicates they have an alternative source of CBD or that the buying market is not overly competitive. To me, this is an early warning sign that demand from processors will not keep up with the supply of hemp. The price of biomass is also being driven by farmers who are avoiding future pricing uncertainty. Farmers have a fear that there will be more biomass than can be sold in 2018 / 2019. If this is the case, prices will plummet because not all farmers will be able to sell their crop and competition to monetize crops will be intense. Because of this fear, securing a contract early in the season insulates a farm from pricing volatility in hemp biomass. We suggest farmers consider pre-selling a portion of their crop to hedge against price fluctuation and create guaranteed revenue. How will Hemp biomass prices move in the next 3 months? We feel that prices will drop over the next 3 months on average to $3.25 / % / lb. This pricing adjustment will be driven by three factors. First, the number of processors who are buying new material will diminish with established contract buys. With better developed infrastructure among processors, future agreements and contract buys will become a more popular trend. With many of these businesses having secured their orders, there will be fewer biomass orders to fill. Demand for biomass will decrease, and the price will follow. Second, farmers will be facing a market that is flooded with a year’s worth of hemp biomass. This material will enter the market at the same time, and the market simply cannot sell a year’s worth of hemp in 3 months. Historically, this oversupply historically will drop prices. The third factor that will move prices is the fear of oversupply. 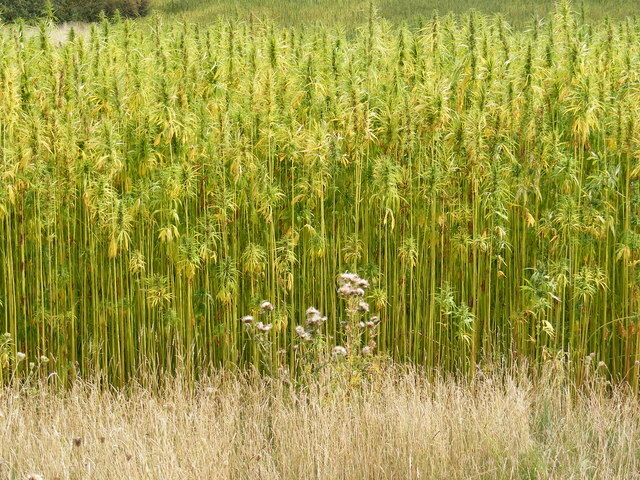 With the flooded market, farmers and processors will both wonder, do we have more hemp than then industry can consume? This would indicate that some farmers will be unable to sell their crop, experiencing a total loss. This fear will generate a selling spree, and I think this will occur in 3 months. This is compounded by the holiday season of November – December when business tends to stagnate due to vacations. Once we endure this first sales cycle as an industry, we expect prices to stabilize. 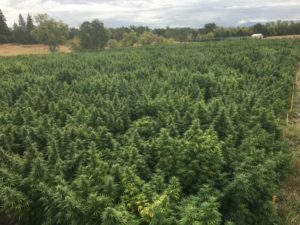 Did USA farmers produce enough Hemp biomass to fulfill demand in 2018/2019? This is the biggest question that will unravel over the next 12 months. Did the USA farmers produce enough biomass to fulfill orders from processors. We examine a few driving factors to get insight into the next year in CBD. First, the passage of the 2018 Farm Bill will have an impact on demand. We expect this bill to pass in the lame duck session at the end of the year. We saw the 2014 Farm Bill expire on September 30th, 2018. This is not the first time a Farm Bill has lapsed, but this is the first time the hemp industry has been on the cusp of legalization. The immediate impacts of the passage of the new Farm Bill will be an increase in visibility and demand for CBD products. There is a caveat, we need to keep our eye on the rulemaking process and the time it takes to adapt and adopt the new rules and regulations. For example, California Department of Health issued rules forbidding processors from using CBD as an additive in any food product. I expect to see other states follow suit and implement state level oversight on Hemp and CBD, similar to the Cannabis industry. We also need to keep an eye on the development of processing infrastructure for zero THC products. This includes zero THC distillate and CBD isolate, which will be the dominate products supply the whole CBD industry due to compliance with the threshold of .3% d9THC due to federal laws. We expect to see a bottleneck in the processing power of the industry which will limit the amount of biomass that can be processed into finished goods. Think about Purina and Coca Cola entering the market. What about Neutrogena? Large established brands with distribution networks will dramatically increase demand for these products. The last factor to be aware of is the import and export industry. This is very new subject, and I expect there to be a delay in the rulemaking process for a few crop that can take a long time. WIth that being said, CBD isolate has been imported into the USA for many years. This is because imported CBD isolate beings it’s life cycle in the USA as CBD, and not as a hemp product, hence this is the only “legal” CBD in our market. Import and export will have a big impact on the USA market. We know that China is working on large scale extractions, and remediation labs for heavy metals, pesticides and other contaminants. While Chinese produced CBD isolate has a bad wrap due to contamination – this will change over time, and the public perception of an inferior product will wane over the coming years.